My flash “It falls”, originally published by Jellyfish Review, will be published in The Best Small Fictions 2018 (Braddock Avenue Books). It was chosen by US writer and guest editor, Aimee Bender. I am so honoured. There were about 1,000 nominations from around the world, from which 101 finalists were selected, and Aimee Bender selected 53 winning stories. The full list is here. The anthology will be available in the US fall. This anthology is regarded as one of the best collections of short fiction (1000 words or less) and is used for teaching. The judges of the works are highly respected, leading writers. This year, Aimee Bender was the judge and past judges have included, Robert Olen Butler, Stuart Dybek and Amy Hempel. I am so grateful to Jellyfish Review for publishing this story and nominating it, and to the Best Small Fictions, Series Editor, Sherrie Flick, and consulting editors. 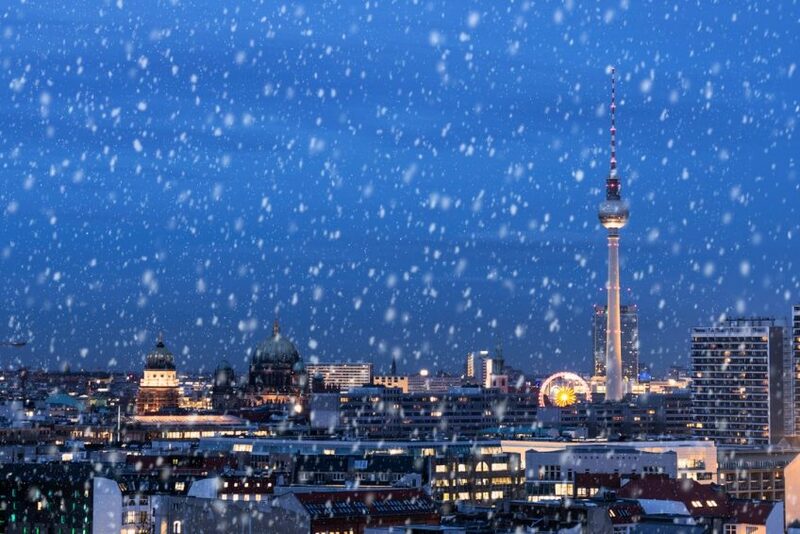 I have included in this post a photo of Berlin at night, in the snow, showing the Fernsehturm – all of which features in “It falls”. © 2017 Melissa Goode. All rights reserved.